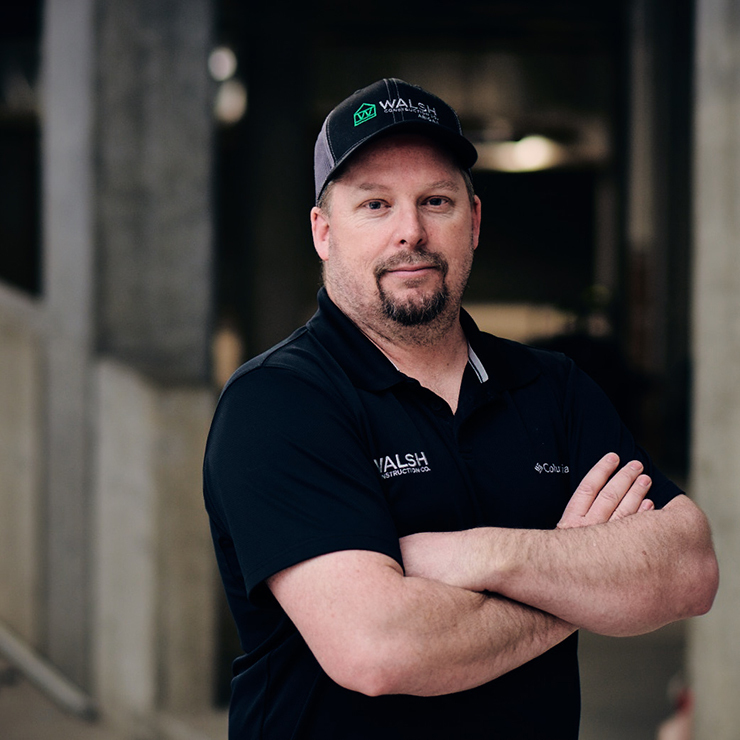 Richard Stephenson | WALSH Construction Co.
Richard joined WALSH in 1997 with more than nine years of experience in construction and has worked on many wood-frame affordable housing projects. He has responsibility for duties including on-going estimating, scheduling, subcontractor and job coordination, on-site supervision, safety, quality control, direct labor activity coordination, and overall jobsite responsibility. He will be on-site full-time to verifiy the scope of work performed conforms to that of the contract documents and will assist with that portion of problem resolution that specifically relates to clarifications, conflicts and omissions.